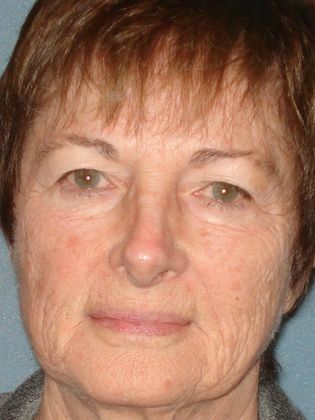 This 72 year old woman from Surprise, Arizona was bothered by the sagging and drooping skin around her eyes and her eyes were tired from the heaviness of her lids. She also wanted a softer looking appearance around her eyes as she felt her lines and wrinkles aged her considerably. 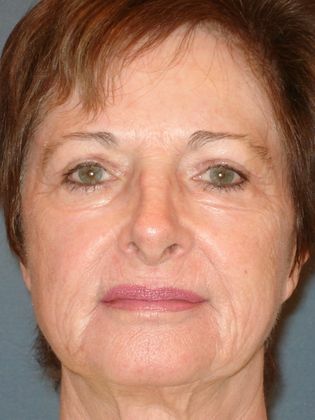 After discussed with Dr. Justo in our Sun City West practice, the patient decided to undergo upper eyelid surgery as well as Total FX Fractional Laser Resurfacing to address the discoloration, fine lines, and wrinkles that had emerged on her skin as she aged. The resurfacing was done on her face, neck and chest. To maximize results, the patient has also been using the Obagi Nu-Derm skin care system which in combination with the laser resurfacing and the eyelid lift has made her look and feel years younger. The patient is extremely happy with her results!